The start of a new year often means resolutions for a lot of people and that includes the Dana Point City Council. With the first Council meeting just a few days away, the Dana Point Times asked each of the Council members what they believed the Council should focus on in 2017 as well as what their individual priorities for the year will be. As of press time, Councilman John Tomlinson could not be reached for comment despite several attempts throughout the week. If a resident were to drive through Dana Point, they would see construction and renovations happening throughout the city. The continuation of this redevelopment is a priority on which the four Council members agree. The three areas each Council member spoke specifically of were Doheny Village, Lantern District (Town Center) and the Harbor. Councilman Rick Viczorek said when he ran for his seat, the three areas were an issue, and he still believes there is work to be done. “There are the same priorities as two years ago,” Muller said, including the expansion of the Lantern District and it’s parking plan in his list of priorities. Viczorek said that with the newest Council members, Mayor Debra Lewis and Mayor Pro-Tem Paul Wyatt, he looks forward to hearing their ideas and implementing those visions in the Lantern District. Work on a comprehensive parking plan figures to begin in 2017 as well, as the four Council members agreed on its importance. Viczorek added that with Measure H, parking was one of the “big issues” so he believes it’s important to “hammer something out” that works for the residents. Lewis said she would like to see “appropriate development” of Doheny Village and Town Center as part of an overall citywide development plan. “I envision the Harbor, Doheny Village and Town Center complementing, not competing with, one another,” Lewis said. The Council members agreed that they want to see everything fit together—Viczorek called them puzzle pieces that need to fit together to create a whole picture. Wyatt said, regarding Town Center, it’s time to begin an implementation plan. 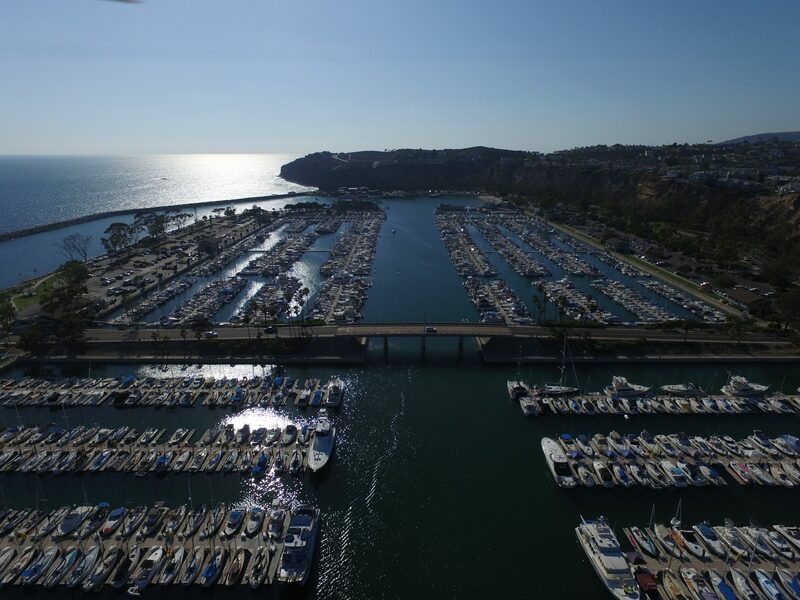 Although the Dana Point Harbor is a county project, Wyatt said the city still needs to play an active role in the process. Viczorek said he knows development takes time, but he believes the city needs to be vigilant and start moving forward. Another top priority for many City Council members is the hiring of a new city manager. Former City Manager Doug Chotkevys left the city in November, in-lieu of termination, and since then, Mike Killebrew has been the acting city manager. “We need to get that (hiring process) done, but it’s a process that will probably take four to six months,” Muller said. Lewis said hiring a city manager is priority number one. “This is a critical position. He or she is the chief operational officer for the city and must see him/herself as an essential partner in carrying out the vision for the city set by the City Council,” Lewis said. Wyatt said that since the process will take some time, the Council needs to work with the acting city manager to set goals and metrics of the administration. Some Dana Point residents have been questioning the city’s finances for a number of months, so much so that Lewis said they have lost trust that their money is being well spent. Lewis said she wants to rebuild that trust by setting up a citizen financial watchdog group that will meet and report regularly to the Council and the residents. To also build the trust back up with residents, Lewis said she plans to be “visible” and accessible to as many residents as possible. Wyatt agrees with Lewis and said he plans to foster respectful conversations between the city and the residents as well as businesses professionals. “I look forward to setting up regularly-scheduled interactions between the Council members and city residents and businesses by taking advantage of the various associations that exists,” Wyatt said. Turning to the financial aspect, Wyatt mentioned during his campaign that the city’s expenses and revenue needed to be checked out. Wyatt said five-year budget projections need to be created as a tool to evaluate the 2018-2019 budget and added work needs to begin to have that approved by June 30. “More than two years of visibility is needed to ensure the financial health of the city,” Wyatt said. Over the past year, the city has been involved with multiple lawsuits. Most recently, the city settled with the California Coastal Commission regarding the Strands gate. However, the city is still working with Sanford Edward, developer of the Strand community, on ongoing litigation. Muller said it is a priority to get litigation finished. Lewis said she would like to see the issue with Headlands Reserve LLC and Sanford Edward put behind them. The Council will take their seats for the first meeting on Tuesday, Jan. 17 at 6 p.m. in City Hall.